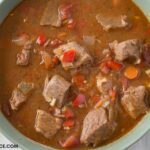 This Crock Pot Hungarian Goulash recipe is very different from the Hungarian Goulash recipe my mother made when I was a child. She made it with ground beef because she had to stretch her food budget as a single mother. Hearty crock pot recipes like this are perfect for any day of the week. 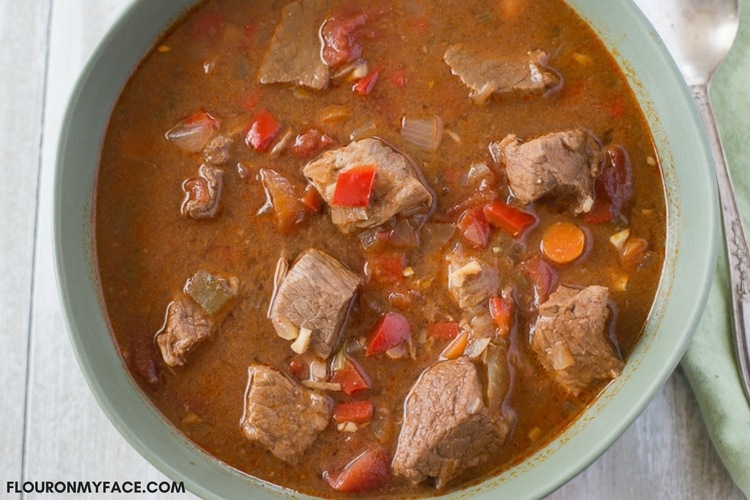 Traditional Hungarian Goulash is more like a beef stew recipe compared to the Goulash recipe my mother made. The goulash recipe she made was made with ground beef, some type of tomato sauce and served over elbow macaroni. From what I have read that is not the way Hungarian Goulash is made. 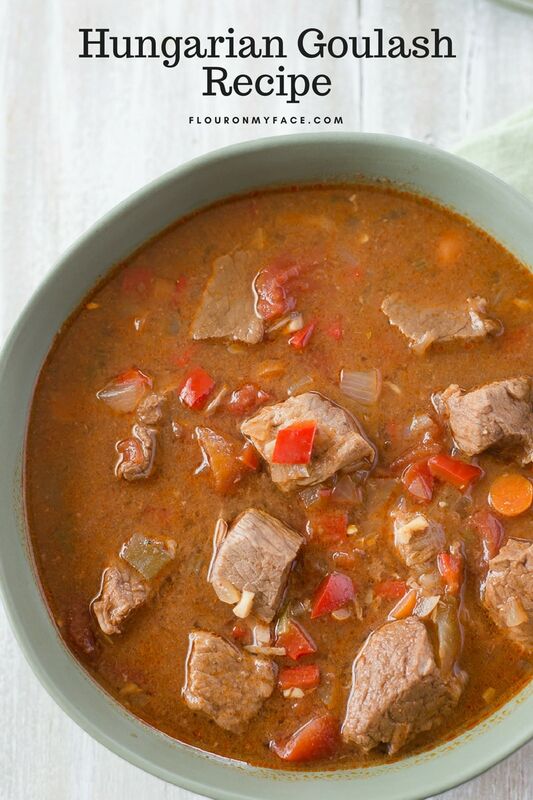 A traditional Hungarian Goulash recipe is eaten like a soup or stew with crusty french bread to sop up the thickened paprika flavored broth. It also has diced potatoes in it. I left the potatoes out because I try to eat low carb. If you’d like to add potatoes you could peel and cut the potatoes into quarters and add them to the slow cooker. Although not the traditional way to eat Hungarian Goulash you may serve this Crock Pot Hungarian Goulash recipe over cooked elbow macaroni. It will stretch this meal and be more filling with the pasta. I didn’t have any Hungarian paprika to use so I used a combination of regular paprika and smoked paprika. The smoked paprika really gave it a nice little hint of smokey flavor. Do you like to cook in the slow cooker during the busy week or do you like to cook in the slow cooker on the weekends? In a sauce pan or a crock pot with the saute option melt the butter and saute the diced onion, bell pepper and carrots for about 5 minutes. Add the paprika’s, salt and pepper. Saute for 1 minute. Add the beef stew meat and mix well with the vegetables and seasons to coat the meat well. Add the stewed tomatoes and bay leaves to the crock pot and mix well. Cover and slow cook for 8-10 hours. Serve over noodles with crusty French bread if desired. 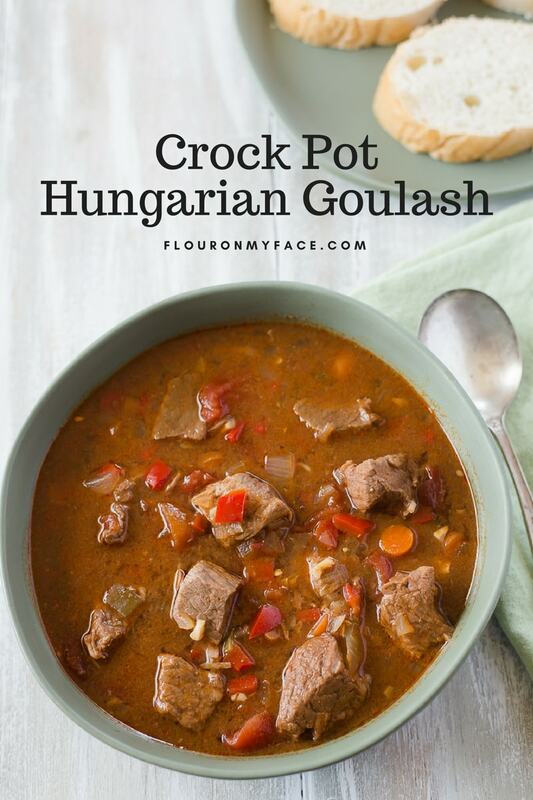 Crock Pot Hungarian Goulash recipe is very different from the Hungarian Goulash recipe my mother made. This one is more authentic and made with beef stew meat. Add the paprikas, salt and pepper. Saute for 1 minute. 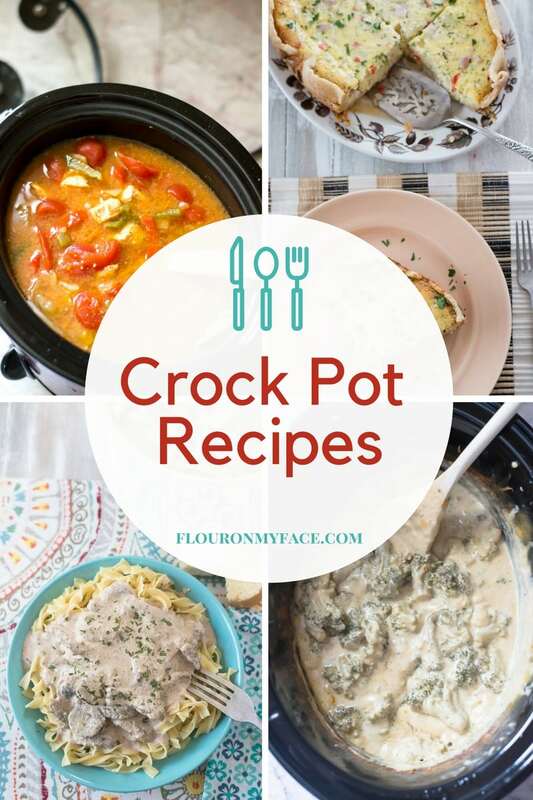 For more Flour On My Face Crock Pot recipes head over to my crock pot recipe page where you will find over 190 easy crock pot recipes for bust families. So much yes to this recipe! It looks amazing and I love that I can toss it in the Crock Pot. Seriously, that thing is my best friend. Thanks for sharing your awesome recipe with us at Merry Monday this week!